For more than a decade, a muster of around 150 feral peacocks has been ruffling feathers in Surrey, British Columbia. That's because, when the neighborhood of Sullivan Heights was far less developed, a resident there took it upon himself to recreationally farm the animals. Then, some years ago, the farmer moved out of the area, but the birds remained. Ever since, humans who share the neighborhood with the flock have been crying fowl. First it was noise complaints. "You couldn't sleep. When my kids were babies and toddlers, they woke them up all the time," a woman named Julie told The Canadian Press in May, after one her frustrated neighbors illegally downed a tree on his property where the peacocks liked to roost. "Even though this tree was down half a block, you had to close the windows at night because of the noise." Then the birds began disrupting other aspects of daily life. One family in the neighborhood reportedly lost the ability to use their front door when the colorful birds set up a nest on their stoop. And now the pesky peafowl are taking property damage to a whole new level, attacking dark-colored luxury cars with their strong beaks. The problem seems to be that they catch the sight of their own reflections and mistake them for other peacocks. Sullivan Heights resident Ryan Cragg told CTV Vancouver that the birds will often go at it for hours. "With the dark-coloured cars, they can see their reflection fairly clearly, so they mistake that as another peacock and have at it," he said. "They'll get the front panel, the side panel, the rear panel and then work around to the other side." The result? Thousands of dollars worth of body damage, and all over a bird's mirage. While residents grow increasingly frustrated, the City of Surrey insists its hands are tied. 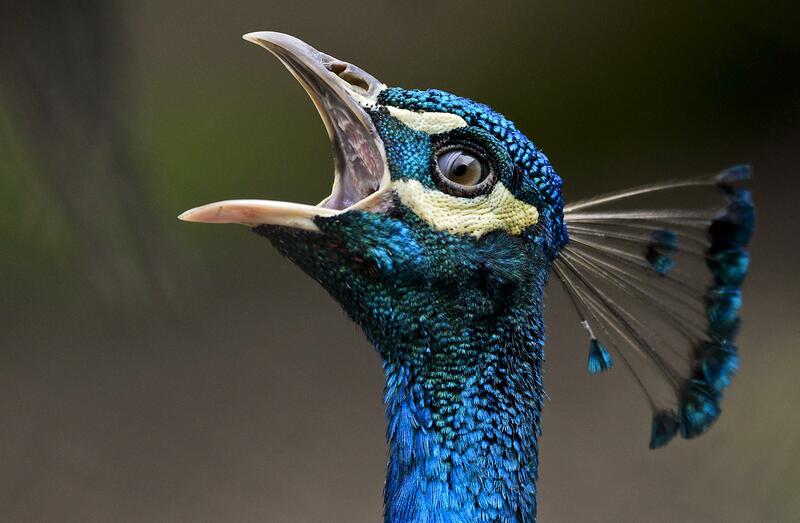 Though officials have issued fines to anyone feeding the animals, the country's Wildlife Act reportedly doesn't apply to peacocks, so there's no clear legislative responsibility as to which agency should round up the vandals. It's the most colorful sort of gray area in the law. In the meantime, the beautiful birds are taking advantage of the situation and racking up an ugly reputation.